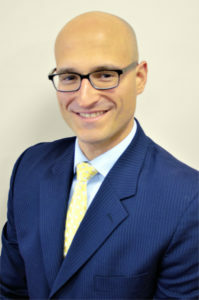 Dr. Anthony Distano specializes in chiropractic and sports injury, post surgical and orthopedic physical rehabilitation. With his extensive knowledge and training in the field of rehabilitation combined with his training as a chiropractic physician, he is able to evaluate and manage patients with musculoskeletal pain from a unique perspective of not only a chiropractor but a rehabilitation specialist. Dr. Anthony has worked alongside some of the top sports medicine physicians, physical therapists, and athletic trainers as part of his rehabilitation training. Dr. Anthony was selected as one of the top chiropractors in the State of New Jersey by NJ Top Docs for his extensive knowledge and training in the field of chiropractic and physical rehabilitation. He is one of only seven chiropractic physicians in the State of New Jersey to achieve certification in not only chiropractic but also in physical rehabilitation. Dr. Anthony is one of three chiropractors certified in the McKenzie method of mechanical diagnosis and therapy. Dr. Anthony received his Bachelor of Science degree in Biology, Master of Science degree in Sports Health Science with a concentration in sports injury management, and Doctor of Chiropractic degree from Life University. While at Life University, Dr. Anthony’s research projects included a research review of the detrimental effects of abnormal curvatures in the cervical spine on the nervous system and surrounding soft tissue structures, and a case study on chiropractic management of whiplash patients. Dr. Anthony is board certified by the American Chiropractic Rehabilitation Board, National Board of Chiropractic Examiners (Parts I, II, III, IV and Physiotherapy) and the New Jersey Board of Chiropractic Examiners. In addition to being a chiropractic physician and rehabilitation specialist, Dr. Anthony is a Certified Strength and Conditioning Specialist, Corrective Exercise Specialist, Certified Kinesio Taping Practitioner, Certified Fitness Trainer, and Functional Movement Systems Certified in Functional Movement Screening (FMS), Selective Functional Movement Assessment (SFMA), and Y-Balance Testing. Dr. Anthony is also trained in Dynamic Neuromuscular Stabilization from the Prague School of Rehabilitation. 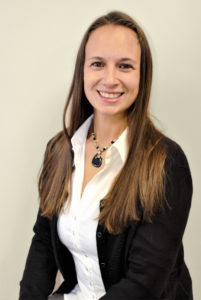 Dr. Nicole Distano specializes in chiropractic management of pre/post-natal patients. Dr. Nicole received her Bachelor of Science degree in Biology and Doctor of Chiropractic degree from Life University. As a senior chiropractic intern, Dr. Nicole researched effects of breast feeding on the immune system of newborns and conducted a case study on the effects of chiropractic on symptoms associated with multiple sclerosis. Dr. Nicole is board certified by the National Board of Chiropractic Examiners (Parts I, II, III, and IV) and the New Jersey Board of Chiropractic Examiners. Dr. Nicole has extensive post-graduate education on the evaluation and management of pre/post-natal patients with spine pain. Dr. Nicole graduated from Kearny High School in 2000. Throughout high school, Dr. Nicole was a gymnast and received her black belt in Michi Budo Ryu (a discipline of martial arts that encompasses karate, judo, and jiu-jitsu) from Kearny Martial Arts.